Sitting along the luscious green belly of Central America, these seven little countries are often greatly overlooked. However, they are some of the most beautiful, historically significant and exciting places to visit in the world. 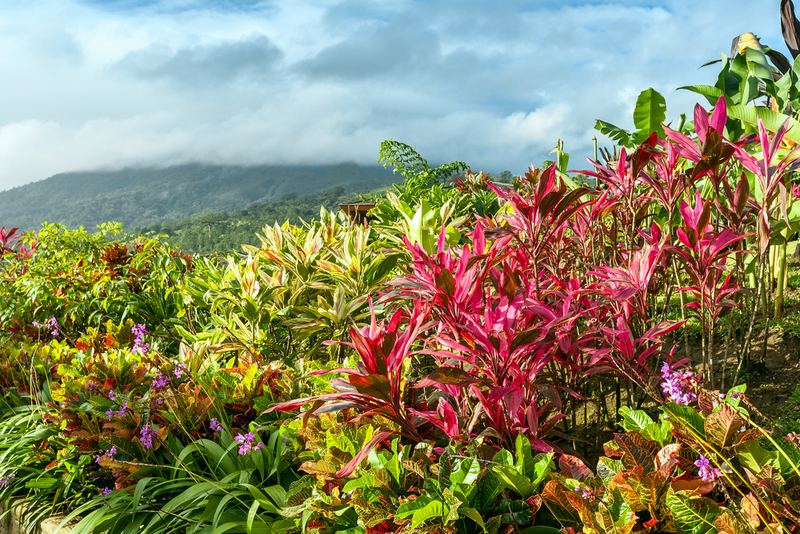 Central America is home to some of the most biodiverse forests you will ever have the opportunity to explore, and the fun doesn’t stop there. With crystal clear waters, unbelievable coral reefs, imposing volcanos, stunning colonial cities and Mayan ruins, there’s something in Central America for everyone. If you’re not sure where to start, check out our list of bucket list destinations in Central America below. This stunning reef is a 300km stretch of the Mesoamerican Barrier Reef System that attracts half of all the tourists visiting Belize. Divers and snorkelers travel from all over the world to swim in this gigantic circular hole and explore depths of 480 feet! From the perfectly still surface you can see down 200 feet, but it’s said that the deeper you dive the clearer the water becomes, and the more wonderful things you see. Prepare yourself to enter a world of bizarre sea life, gigantic stalactites, organic limestone formations and vibrant coral. 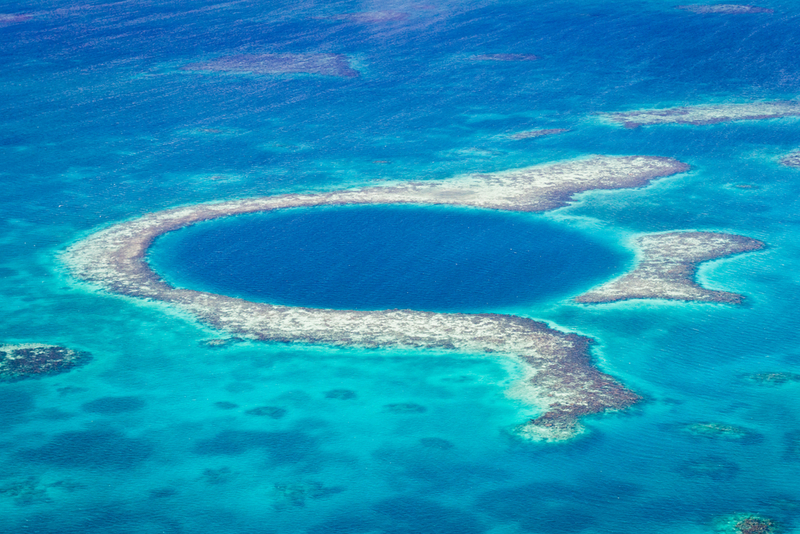 It’s no wonder the Great Blue Hole is classed as one of the most naturally beautiful places in the world. 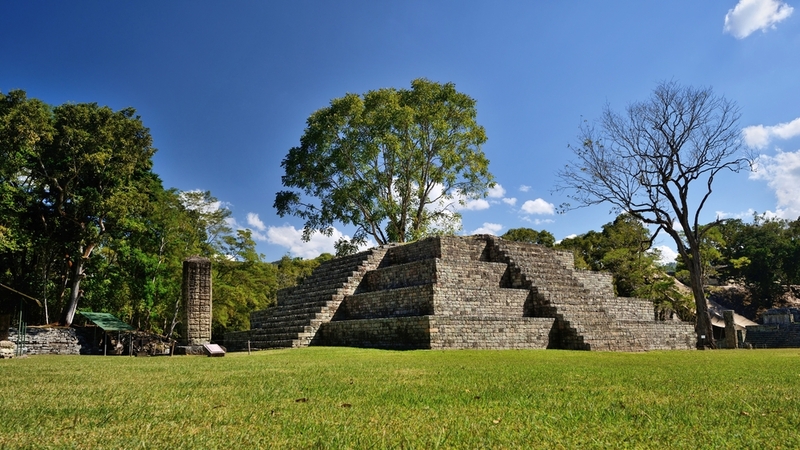 Copan in Honduras. Photo credit: Shutterstock. At its peak Copán was home to over 20,000 inhabitants, and its highest point towers 100 feet above the ancient plaza below. Sitting quietly in the mountains of western Honduras, this magical UNESCO Heritage site is the perfect place to soak up some Mayan history. The ruins of Copán stand as a mysterious testament to the sheer power of the Mayan civilisations, and their utter resourcefulness. The undisturbed harmony between the gigantic ancient pyramids and the soft green jungle surroundings is breathtaking. While visiting Copán be sure to walk the jungle trails to the smaller, more ornate plazas, temples and fascinating limestone cascades. 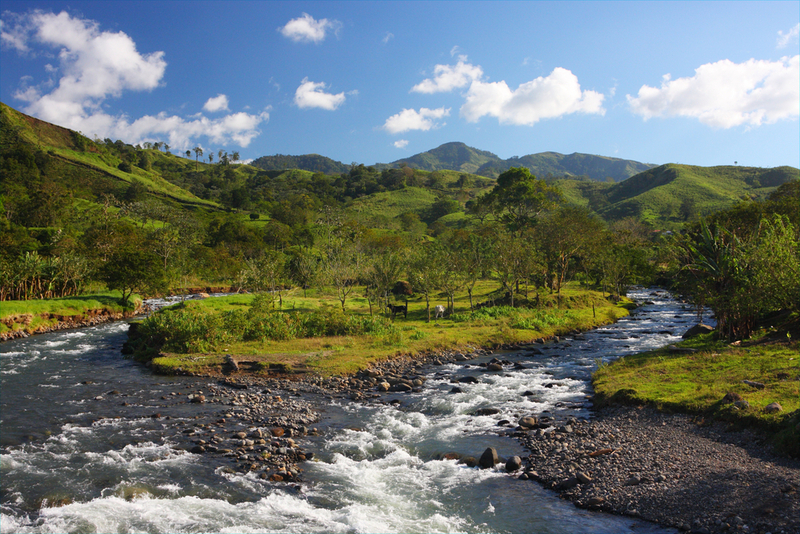 Montverde is one of Costa Rica’s most astonishingly beautiful and coveted tourist destinations. In this amazing place there’s no shortage of natural beauty or exciting activities such as ziplining, canopy tours and tree scaling. One of the most popular parts of Mountverde is the Cloud Forest Reserve, a place renowned for its extraordinary biodiversity. More than 100 species of mammals, 1,200 amphibian species and 400 species of bird can be found in the reserve. Along with the ever popular howler monkeys and jaguars, Monteverde is also home to the extremely rare Quetzal. Seeing this magical bird against the perfect backdrop of the forest should be on everyone’s bucket list. 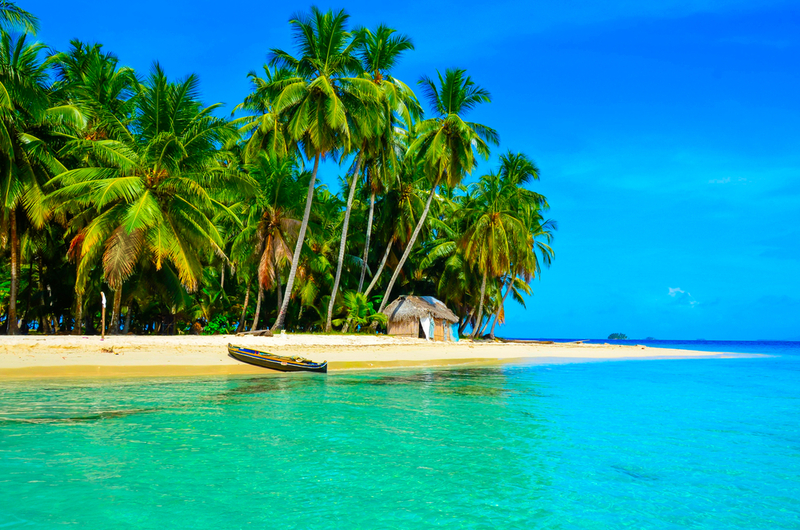 Just off the Caribbean coast of Panama you will find an archipelago of 378 islands called San Blas. These islands are largely uninhabited except from the indigenous Kuna Yala tribe who manage all the tourism on the islands. You can choose to island hop, spending a night on a few of the islands, or you can opt for a week long sailing trip through all the islands. San Blas Islands have such a rich culture and biodiversity, and there are many amazing diving spots around the islands. Visiting San Blas is very popular with backpackers and budget travellers, as accommodation and food there is very cheep. 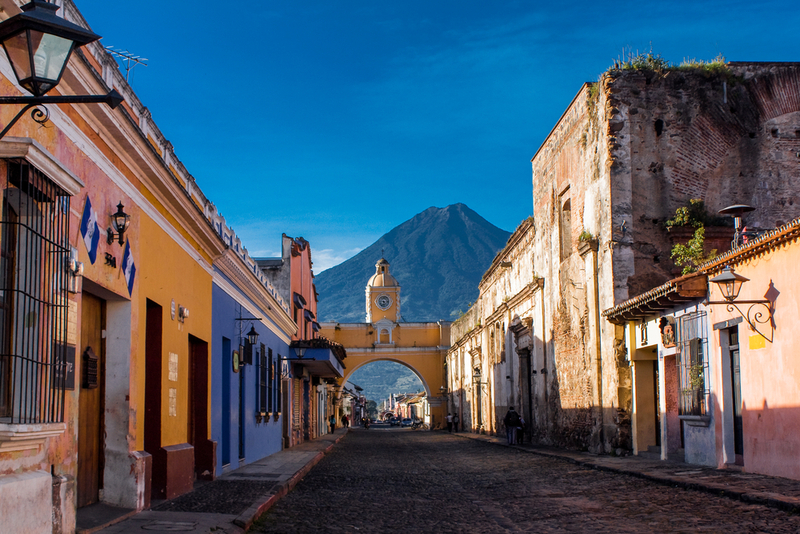 Antigua is a beautiful colonial city set against the picturesque backdrop of three gigantic volcanoes in Guatemala. This historical place is considered one of the best preserved cities in all of Central America, and is an extremely popular backpacking destination. There’s no shortage of wonderful pubs, stunning colonial architecture, restaurants, shops and prominent historical sites such as the Santa Catalina Arch. Just incase you need another reason to stay in this amazing city, Antigua is a major hub for learning Spanish. So why not live like a local for a couple of months and learn the beautiful Language of Guatemala. This 250 acre reserve is part of an ongoing reforestation project located in Puerto Jimenez, Costa Rica. Herrera Gardens contain over 3 miles of breathtakingly beautiful garden trails and 10 miles of exciting forest trails for you to explore. Avid bird watchers will be in total heaven with the guided bird watching tours, and everyone will fall in love with the stunning and unusual plant life. For those adrenaline junkies, this reserve also offers above canopy tours, giant tree climbing and close encounters with jaguars and exotic lizards. Trekking through this beautiful landscape is an absolute must for anyone with a thirst for adventure. A bucket full of breathtaking destinations. The list can never be too long so don’t forget to add these destinations. The 7 little, often forgotten, Central America countries are all worth it! Chimu Adventures can create tailor-made packages according to all your wishes. Contact us now.